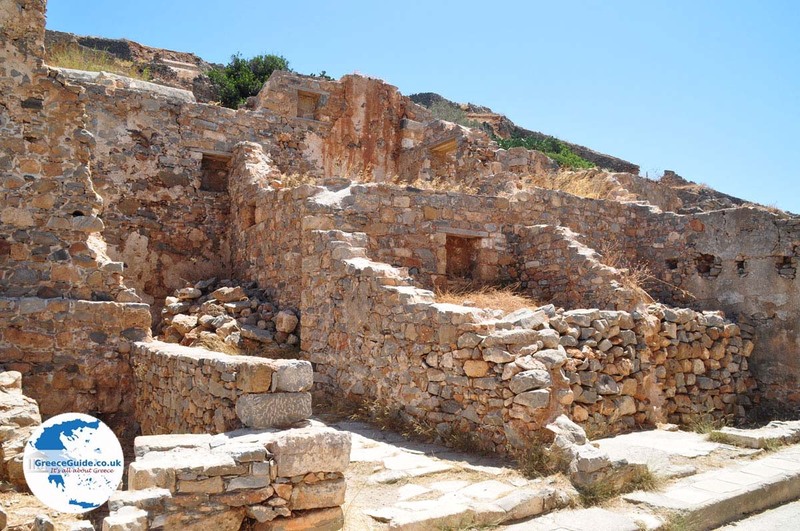 SPINALONGA. 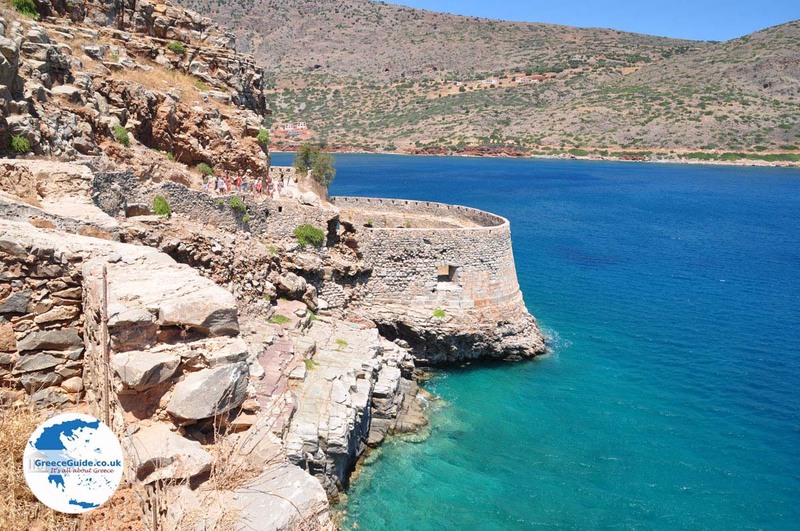 The peninsula Spinalonga in Crete can be reached with excursions from Agios Nikolaos and Elounda. 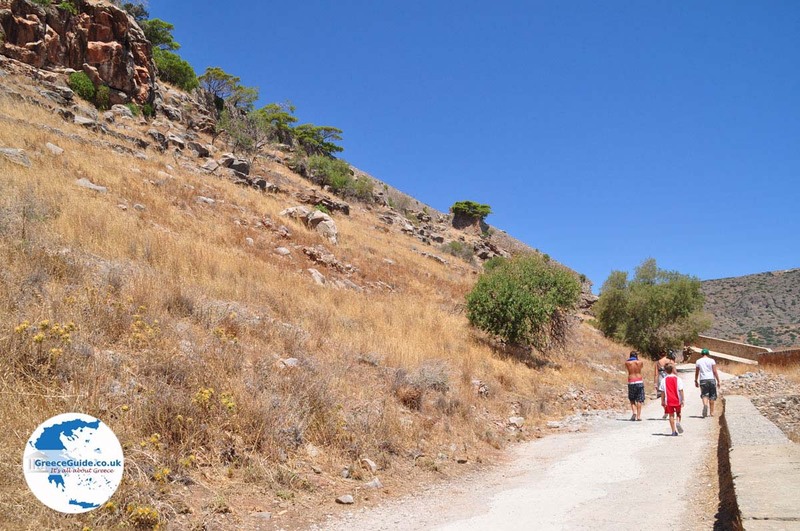 From Plaka, you can reach it by yourself. When the Turkish threat in the 16th century, grew larger, the Venetians built a mighty fortress here. 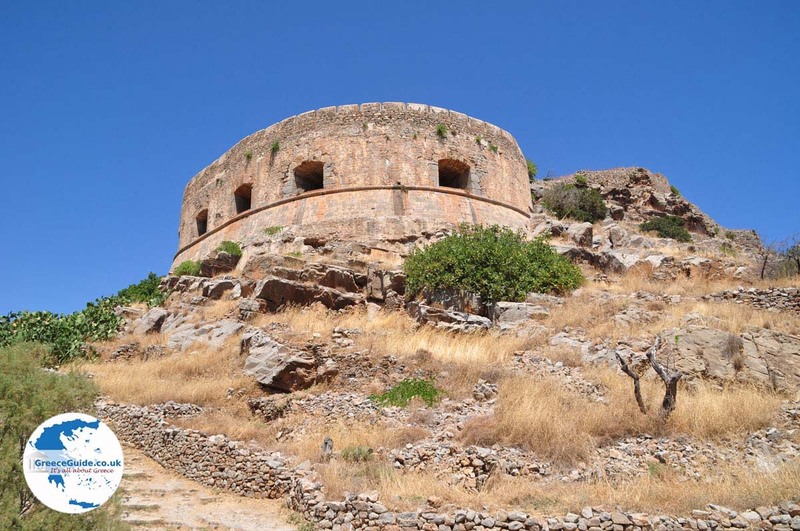 Only in 1715 the Turks took over the fortress and in 1903 they had to leave again. 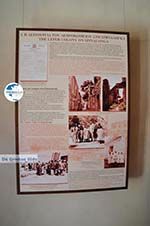 From that time it was established as a leper colony. 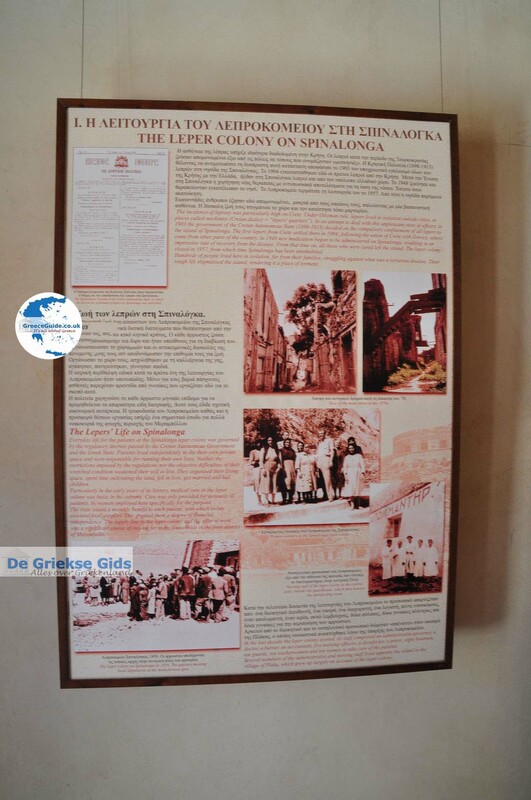 In 1957 the leper colony was lifted and the buildings fell quickly, so this place gives a melancholic impression. 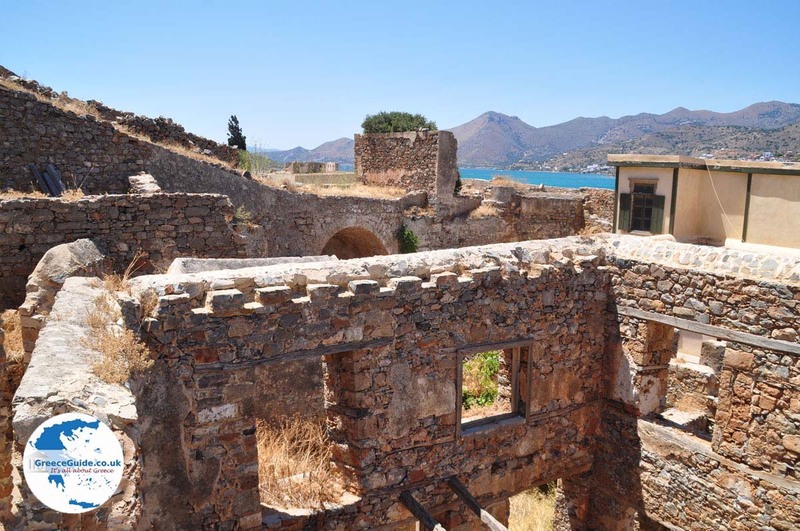 Visiting Spinalonga Island, which lies off the coast of Crete, just north of Agios Nikolaos, is an impressive experience. 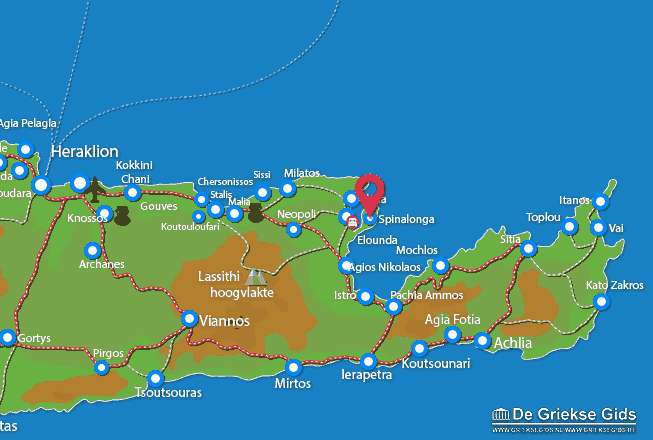 From the tourist resort of Elounda we go to the former Leper Island by boat. 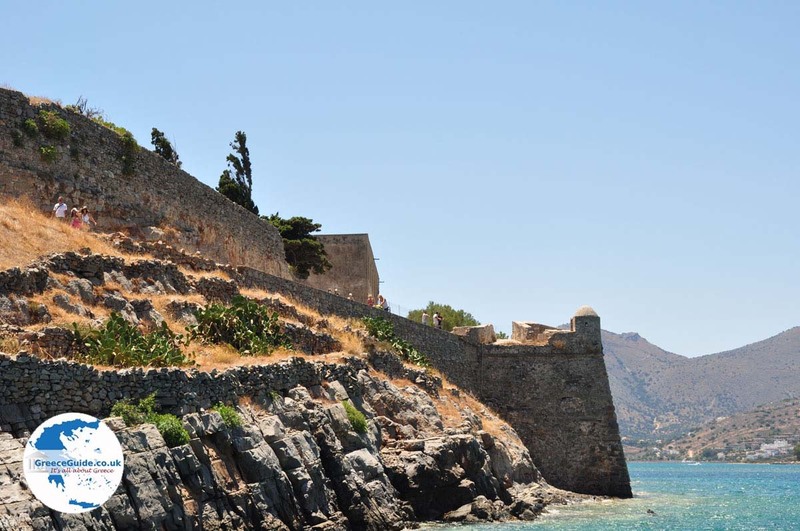 You see the island as the boat approaches it looks beautiful with the Venetian Fortress as an eye-catcher. 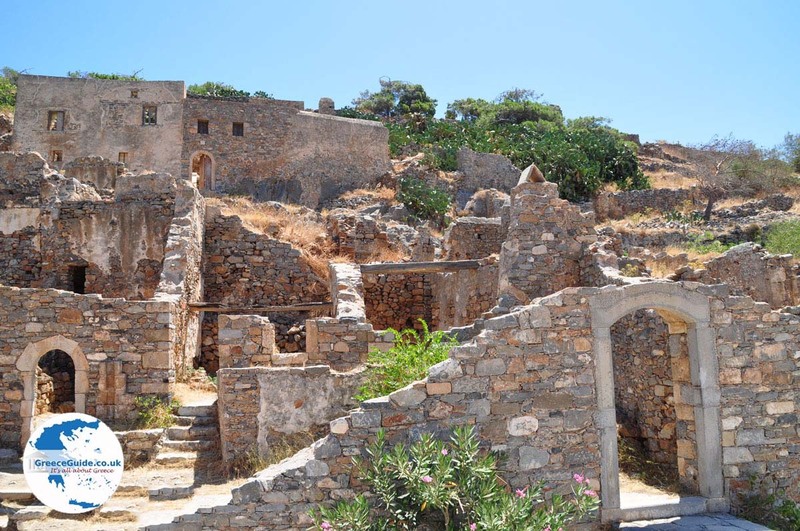 But Spinalonga has a long and dramatic history. 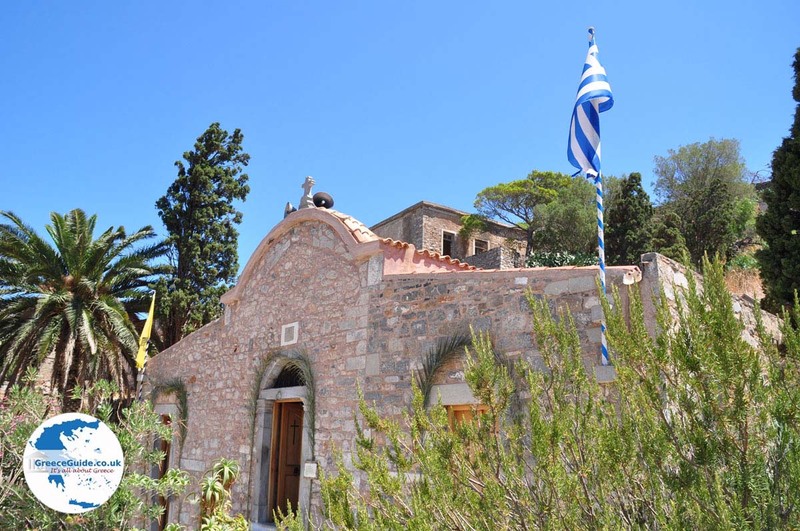 On the island you can visit a renovated cottage with an exhibition which shows the impressive history. 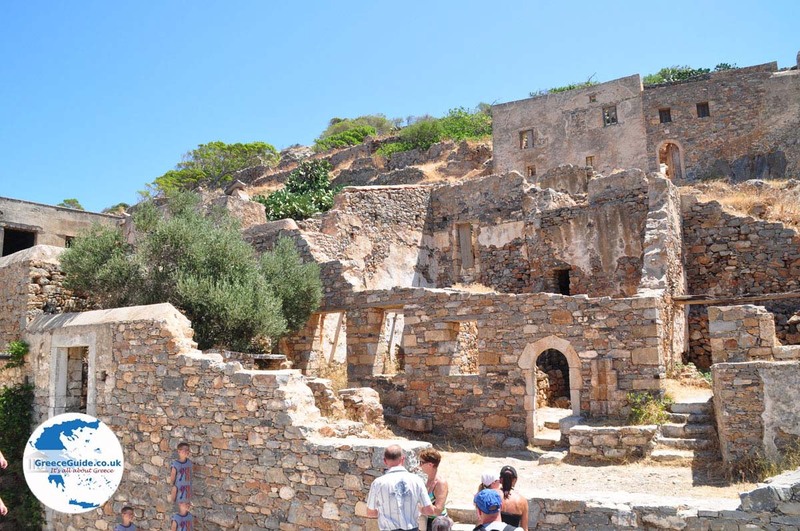 Lassithi Prefecture: Where on the map is Spinalonga located?